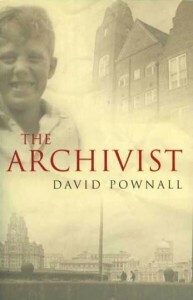 Set in the aftermath of the second world war, The Archivist is a disturbing, darkly comic story of a fatherless Daniel Rogers, A working-class boy from bombed out Liverpool who is given a charity place at a sports-crazed boarding school in the south. Daniels family is dominated by his drunken wreck of a grandfather, A Great War casualty, who is the specific reason Daniel went away to school in the first place. The boy yearns for his beautiful, grieving mother to marry again so she can have a life of her own. But only men who can dance need apply. Drawn into the gangland violence of both staff and boys in the junior house, impelled by aggressive needs within his own psyche Daniel spins a web of wildly experimental relations hoping they will lead to enlightenment, but catastrophe is never far behind.